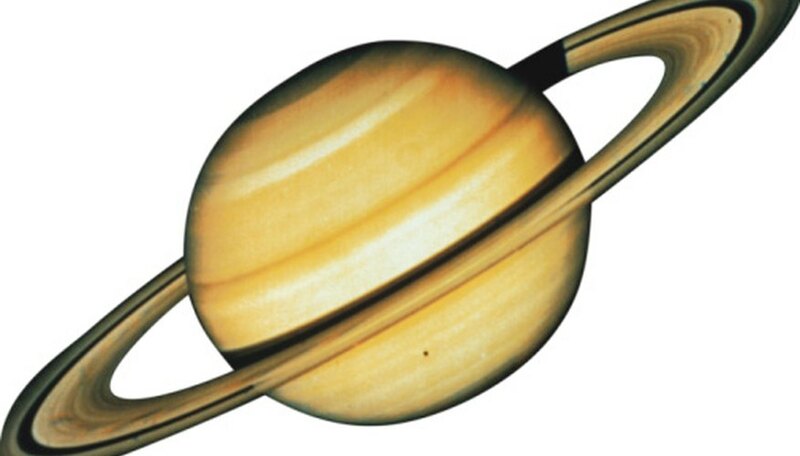 Saturn -- the sixth planet from the sun -- was discovered by Galileo in the early 1600s. 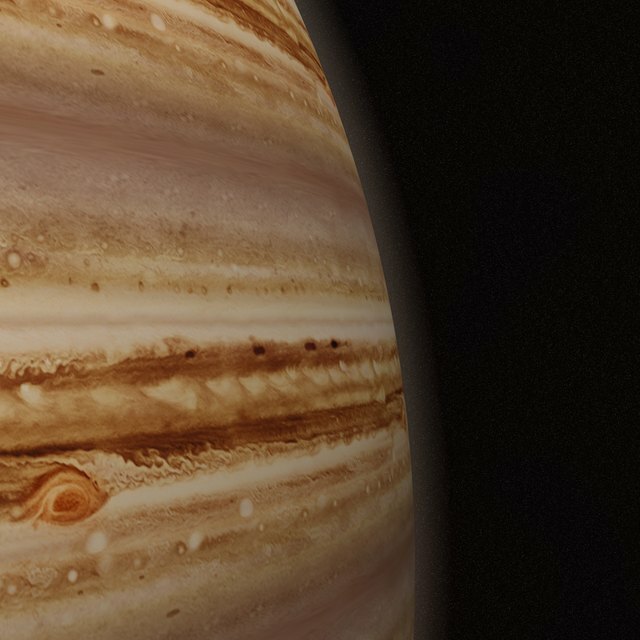 Since its discovery, Saturn continues to fascinate astronomers from all over the world. The second-largest planet in the solar system, it is so unlike Earth that it is sometimes referred to as the "Jewel of the Solar System." Saturn is the only planet in our solar system that has rings that are visible with a simple telescope. Other planets, like Uranus and Neptune, also have rings, but they require a more powerful telescope in order to see them. 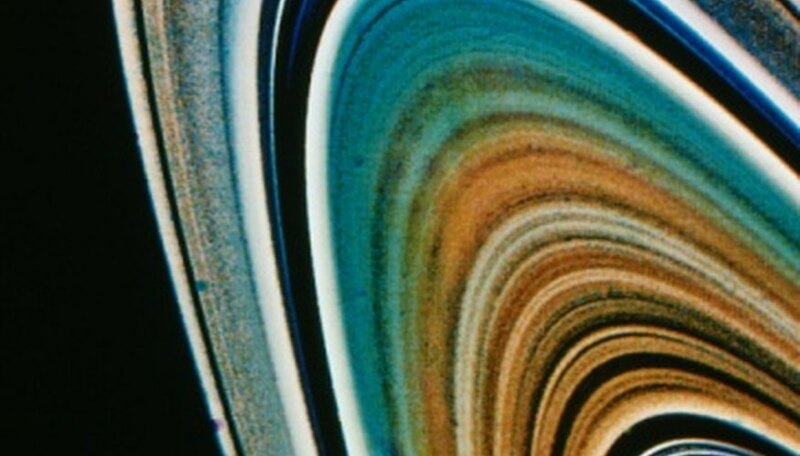 Despite their looks, Saturn's rings are not solid, but actually made up of rocks, ice and dust. The rings are also very thin -- despite being many kilometers wide, the rings are often no more than one kilometer thick. Saturn's orbit is extremely slow. One year on Saturn is the same as 29 years on Earth. However, despite its slow orbit, Saturn rotates extremely fast -- the average day on Saturn is just under 11 Earth hours. The fast rotation of Saturn might also explain how the winds can reach speeds of over 1800 kilometers per hour (over 1100 mph). Even though Saturn is the second largest planet in the solar system (with Jupiter being the largest), it is surprisingly light. This is because the planet is made almost entirely out of gas, primarily helium. It is impossible to stand on the surface of Saturn, because there is virtually no surface to stand on. In fact, Saturn is so light, it is the only planet in our Solar System that would be able to float in a bathtub filled with water. 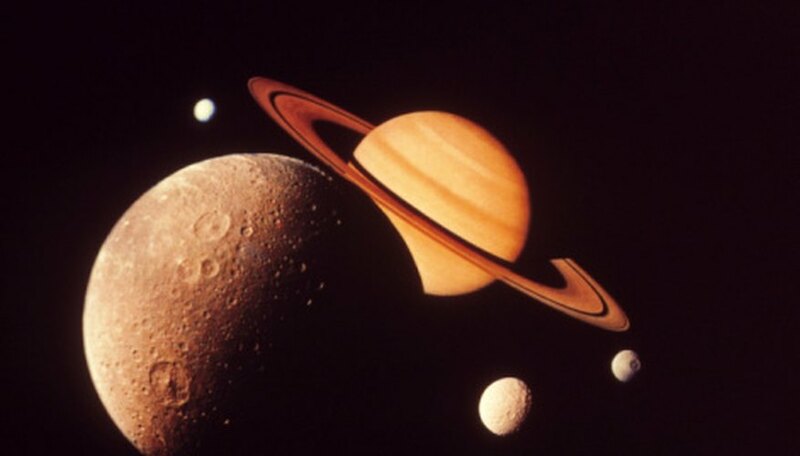 The moons of Saturn are just as interesting as the planet itself. Titan, the largest of Saturn's moons, is one of very few moons that has its own dense atmosphere. Iapetus is interesting because one side of its surface is covered with really dark material, while the other side is covered with blindingly light material. Pan is probably the most interesting moon of them all -- its orbit is within the rings of Saturn, and is in fact the cause of the Encke Gap. NASA: Saturn Fun Facts; December 2007. Kyle Fleming is a freelance writer out of Waverly, Iowa and has been writing for various websites since 2010. He has also been a contributing writer to the Wartburg College newspaper "The Trumpet" since 2008. He has pursued a Bachelor of Arts degree in both music therapy and psychology from Wartburg College. Fleming, Kyle. "What Are Some Unique Characteristics of Saturn?" Sciencing, https://sciencing.com/unique-characteristics-saturn-8304361.html. 24 April 2017.